You made it through Independence Day and East Hampton Old Home Days. 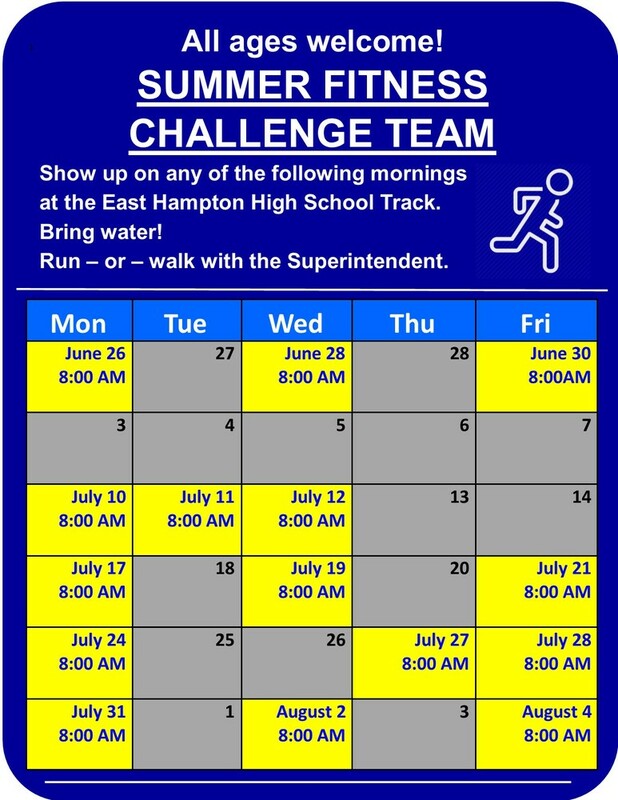 Now it's time to get on the track at East Hampton High School at 8:00 AM on the days listed below and join the Superintendent of Schools for the Summer Fitness Challenge. Students and parents, walkers and runners are all welcome. Stay for 30 minutes or stay longer. Come to a couple of sessions - or come to them all! Or, just use the track when it is convenient for you. We're trying to model good healthy habits for our students.